Parsley plant, Petroselinum crispum, is a widely cultivated culinary herb. The leaves have been used as a salad herb since the times of the ancient Greeks and Romans. Used to enhance the flavour of soups and meat dishes. Approved by German Commission E as a remedy for bladder stone, kidney stones and urinary tract infection. Parsley plant is indigenous to Sardinia, Algeria, Turkey and the Lebanon and will grow in any good garden soils in a protected, semi-shaded position. Flowers in summer. Frost resistant but drought tender. A biennial or perennial plant, growing to 0.3m x 0.3m. 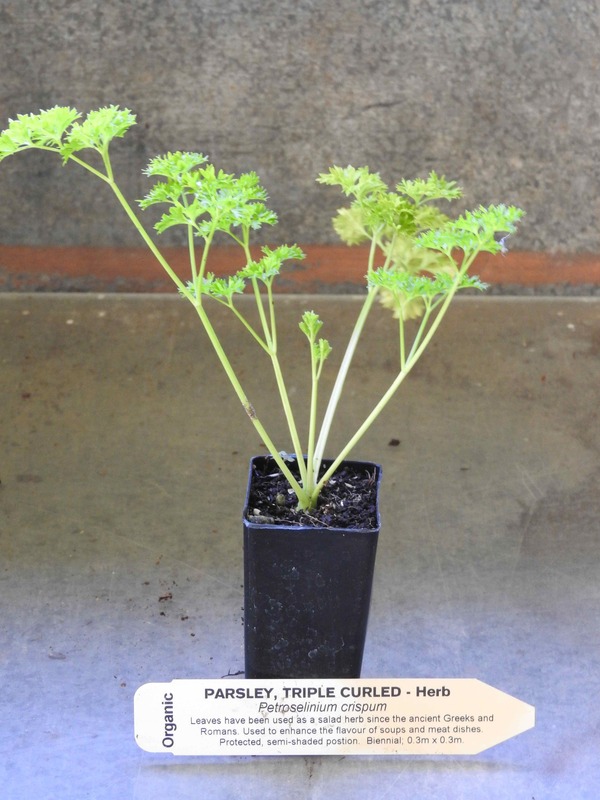 Be the first to review “Parsley, Triple Curl plant” Click here to cancel reply.